He has over 280 original publications and more than 30 review articles in leading journals, filed several patents, edited 5 multi-author books and a number of special issues. Alexei Kornyshev received his Master’s degree from Moscow Physical Engineering Institute (‘MIFI’) in theoretical nuclear physics. After defending his PhD in Physical and Mathematical Sciences (under the guidance of Prof. R.R. Dogonadze), he worked as Research Scientist at the Frumkin Institute of Electrochemistry (Acad.Sci. ), Moscow (1973 - 1991), where in 1986 he defended his D.Sci dissertation and became Leading Scientist. In 1991 he received Humboldt Prize in Electrochemistry and Physical Chemistry, and spent consequently a year at TU Munich, as Humboldt Guest Professor. He was then invited to the Research Centre Juelich, Germany, to lead a Theory Group in a new Institute for Energy Processing with a focus on fundamentals of fuel cells. In 1997 he was promoted there to Head of Division of Theoretical Physical Chemistry, and later got a joint appointment between the Research Centre Juelich and the Heinrich-Heine University of Dusseldorf as Professor of Theoretical Physics. 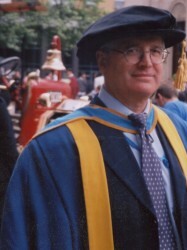 In August 2002 he moved from Juelich-Duesseldorf to Imperial College, appointed to the Chair of Chemical Physics at the Chemistry Department, which for 5 years was supported by Royal Society Wolfson Research Merit Award of June 2001. Through his career he had many short term visiting appointments worldwide, Honours and Awards (see the corresponding section).